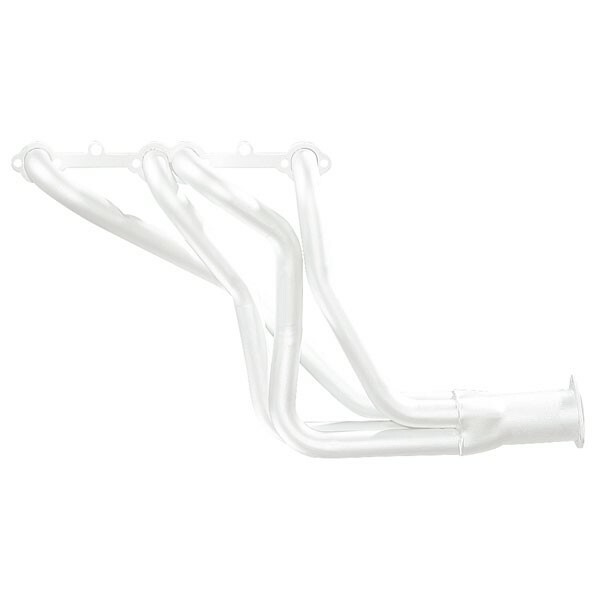 Produces a custom look for manifolds, headers; resists up to 1400℉. 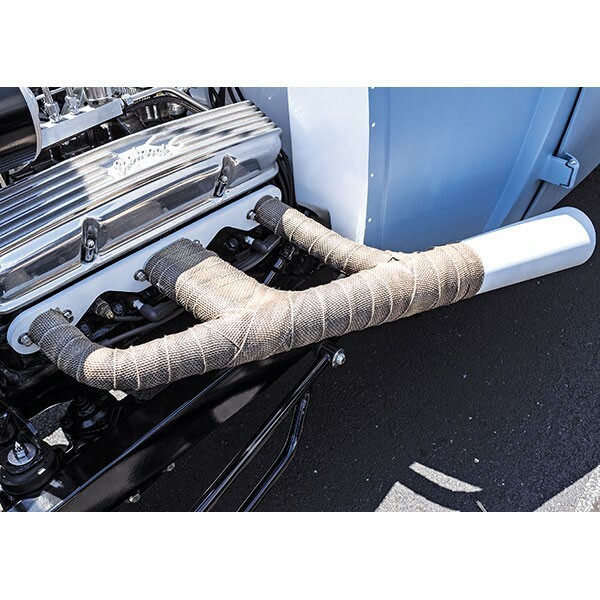 Eastwood's Matte White High Temp Coating replicates that old school look found on traditional headers and exhaust components. 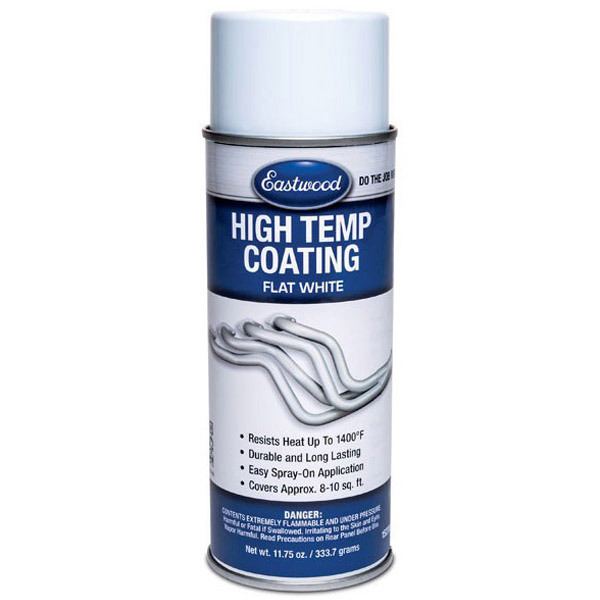 It's temperature resistant up to 1400℉ and is packaged in a convenient aerosol. 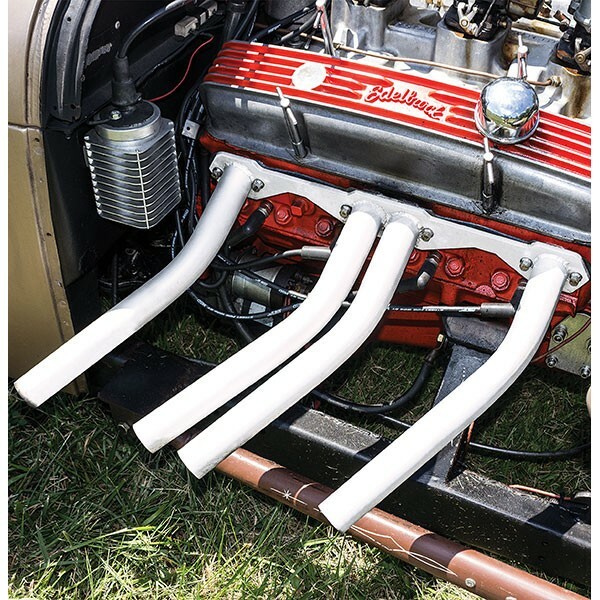 Simply apply to a bare clean surface, install component and the engine exhaust heat will cure the paint to a super durable and great looking coating. Easy to touch up and will look great for years to come. Simply apply to a bare clean surface. Blasted or sanded surfaces will give the best adhesion and final results. 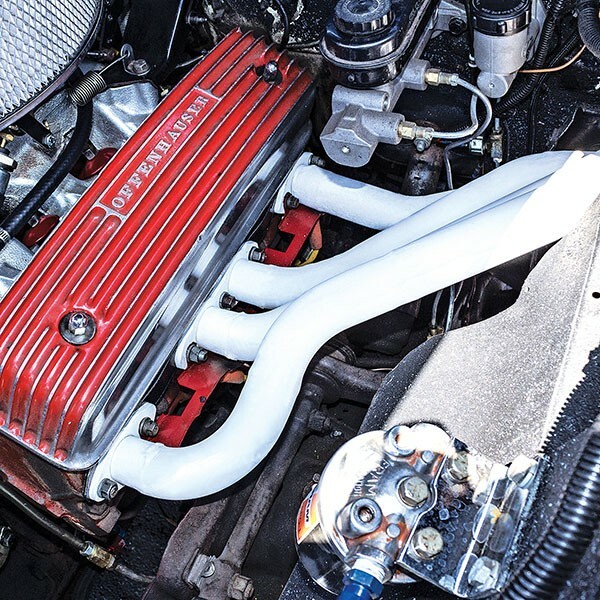 Install component and idle the engine for about 10 to 15 minutes, and the exhaust heat will cure the paint. Let cool, check to make sure paint is cured, and now the coating is ready to put into service. Keep away from heat, sparks & open flame. Use with adequate venting. Vapor is harmful. If swallowed, do not induce vomiting. Call a physician immediately. Avoid prolonged skin contact and breathing of vapor mist. Warning: This product contains a chemical known to the State of California to cause birth defects and other reproductive.